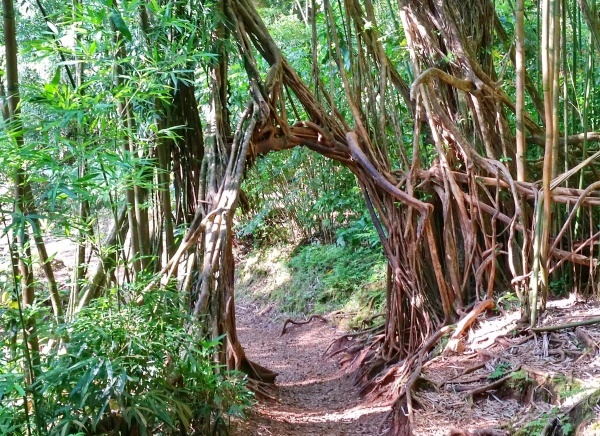 Hawaii has no shortage of hiking trails, and that includes Oahu! 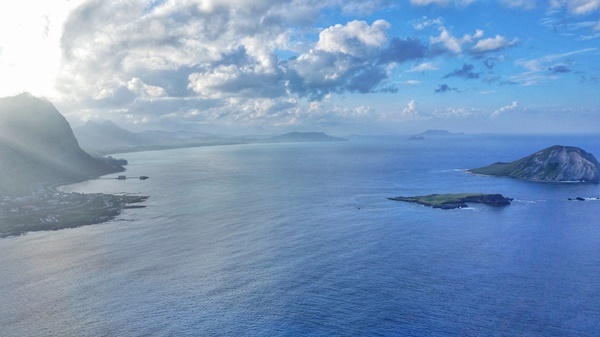 There are lots of different levels of trails all around the island. There are many trails that are only recommended for locals who know the area well. If you’re a visitor to Oahu, it’s a good idea to stick with the well-trafficked trails with safety in mind. For many hiking trails on Oahu, it’s best to avoid them after it’s rained. In lots of cases, the rain can make the trails slick and create a situation that can cause you to slip easily. Even if it’s dry, many trails have loose gravel that can make it easy to slip, so always be careful and watch your footing. This also makes it important to wear trail shoes or sandals that will give you more traction than standard footwear. Here’s some more about some of the best shoes to wear for hiking in Hawaii. No matter which trail you choose, even if it’s labeled as easy, you’ll want to be reasonably fit for the trails and prepare well! Be sure to have a look at hiking tips for beginners from Hawaii State Parks. Here’s a pocket guide of short Oahu hikes as a pdf. 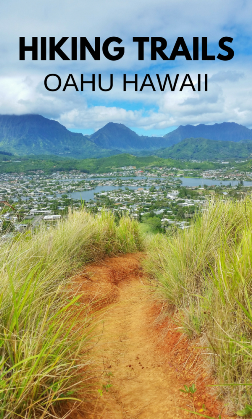 You can find the above hikes and nature walks on the Oahu hikes map below. 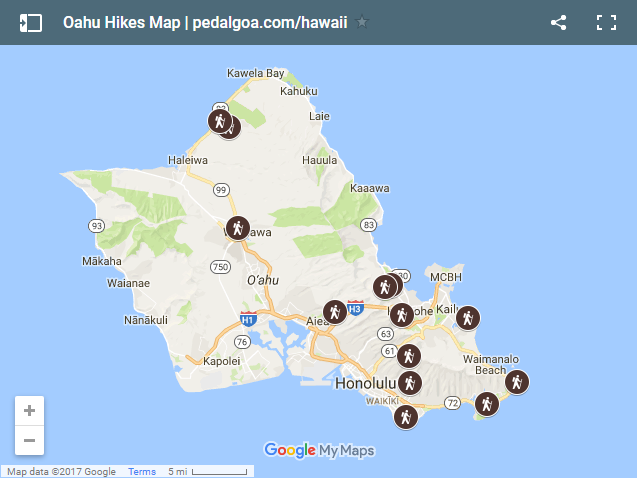 It’s an interactive map of Oahu hikes on Google Maps, so go ahead and explore! These kinds of maps are best explored from a computer! But if you’re coming from mobile Pinterest, first open up this page in your web browser, and then click on the map! Clicking on the icons will tell you what’s there! 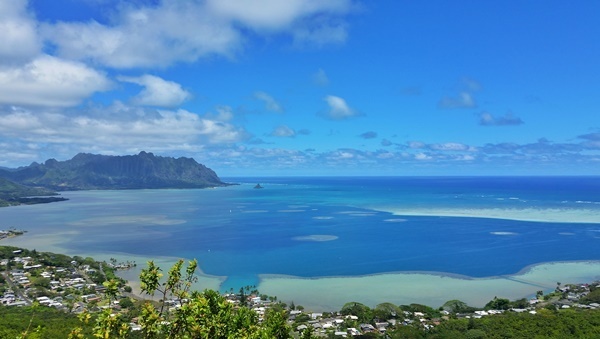 What hiking trails give the best views of Oahu? The Diamond Head Trail is possibly the most famous hiking trail in all of Hawaii. 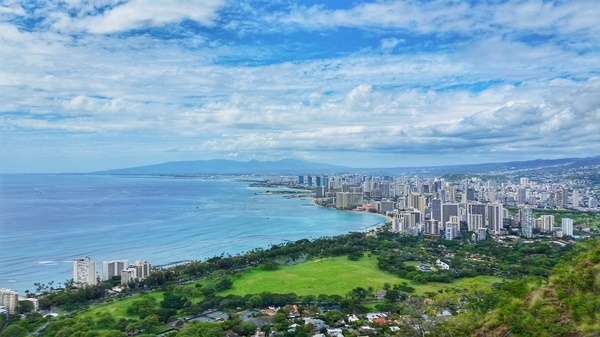 This is the trail that gets you those iconic views on top of Waikiki and downtown Honolulu! Going for the Diamond Head hike in the morning, followed by some snorkeling in Waikiki at Queens Beach, can make for a perfect day on Oahu! The Koko Head hike is a pretty strenuous hike. Distance-wise, it’s short. Maybe about a mile one way. But it’s basically a whole bunch of stairs on a crater that’s been transformed from a railway into a hiking trail to take you to the summit. So it’s a good idea to do this hike only if you’ve been active back at home. And you definitely want to take some water and snacks when you go to Koko Head! Hanauma Bay is right near Koko Head, so a perfect day could be the Koko Head hike in the morning, this cafe near Koko Head for your post-workout meal Hawaiian-style, and then spend the rest of your day at Hanauma Bay on the beach with a little bit of snorkeling! 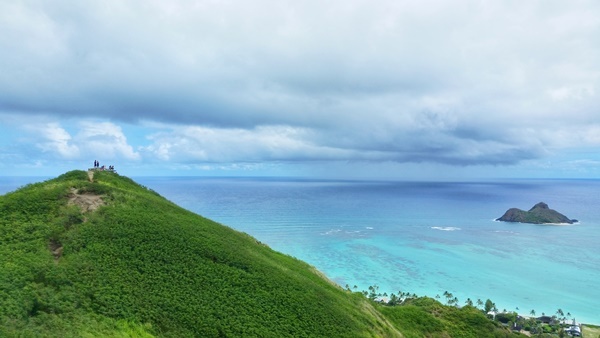 The Lanikai Pillbox hike is a good hike to do if you’re looking for some beach time following your hike! Lanikai Beach, named one of the best beaches in the world, is right nearby so it makes for a perfect pairing! Lanikai is where you’ll get the front row views of the picture-perfect Mokulua islands. After the Lanikai Pillbox hike in the morning, head into Kailua town to refuel at Lanikai Juice with a smoothie or a fruit bowl for lunch, and then head to the beach! Kailua Beach is also nearby with beach facilities as another option. You can find a kayak rental near Kailua Beach too. The Puu Maelieli Trail would be a good hike to do alongside a trip to the Byodo-In Temple at the Valley of Temples or the Hoomaluhia Botanical Garden, or both! All three are around the Kaneohe region of Oahu. It’s also around here that you can get views of the iconic Chinaman’s Hat, which is the name given to the small Mokolii Island that you can see kind of looks like a triangle in the picture above. The Makapuu Lighthouse Trail would be a good one to do on the same day as the Koko Head hike, as long as Koko Head didn’t exhaust you too much! They are both in relatively close proximity to one another. 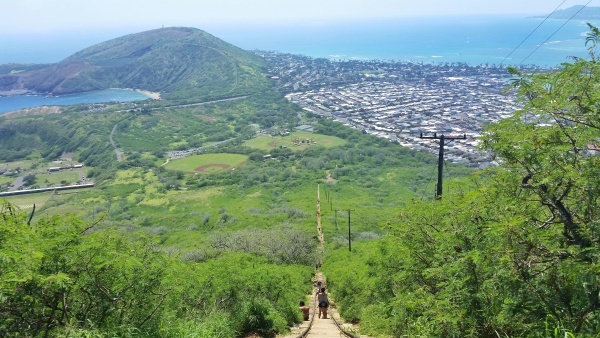 You can do the Koko Head hike in the morning, refuel and eat lunch at a Hawaiian cafe near Koko Head, rest up at the overlook at Hanauma Bay ($1 parking fee to access it through the Hanauma Bay parking lot), and then head to Makapuu for another hike! This trail is also known to be a good spot for whale watching in Oahu. Manoa Falls is probably one of the most well-known waterfalls on Oahu. You’ll get a mix of plant life on the Manoa Falls trail, from a tropical jungle to a bamboo forest to your destination — the waterfalls! 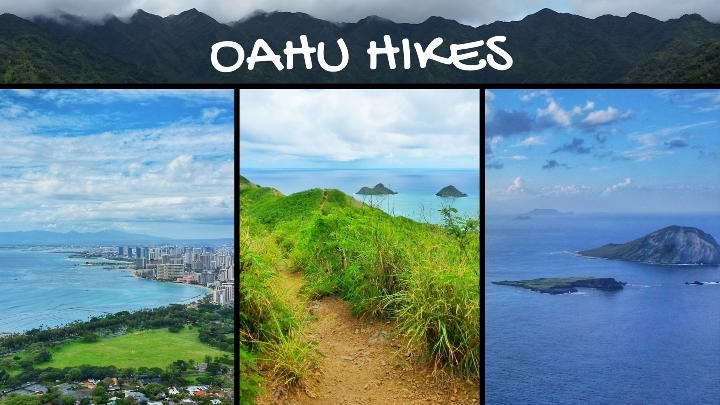 For more Oahu hikes, be sure to check the Oahu map with hiking trails HERE to explore more options!